This Research on Athery Golf Club is Sponsored by the 4* Raheen Woods Hotel who are always happy to welcome golfers and golf societies throughout the year. 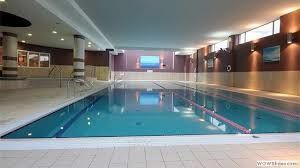 Contact ........... at +353 (0)91-875888 or info@raheenwoodshotel.ie to make your booking. 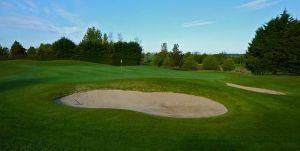 Athenry Golf Club is a mixture of parkland and heathland built on a limestone base against the backdrop of a large forest giving excellent drainage and remaining playable all year round. Celebrating its centenary in 2002 this pleasant test of Golf on the outskirts of Galway City offers a challenge for golfers of all standards on a course which is un-crowded mid-week. 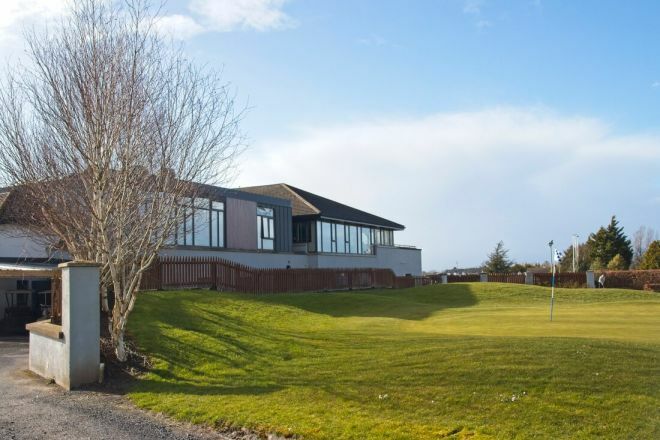 Extended to 18-holes in 1991 under the guidance of renowned architect, the late Eddie Hackett and further improvements in recent years by Eddie Connaughton has lead to the club hosting recent Provincial and National championships. Feature holes are the 3 Par 3’s in the adjoining woods with the signature 12th hole of 175 metres from an elevated tee amongst a corridor of beech and pine trees one of the most challenging and scenic holes to be seen throughout Ireland. 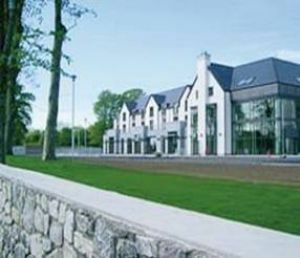 Modern clubhouse with a friendly atmosphere gives excellent views of much of the course and adjoining famous "Field of Athenry". NB: TEE TIMES -Must be booked at least 1 week in advance to avoid disappointment. Please ring hotel reception to arrange this 091 875 888. Unfortunately this offer does not include golf on a Sunday. Athenry Golf Club won the Connaught Final of the Barton Shield when they beat Portumna Golf Club by 5-holes at Roscommon Golf Club 10th August 2018. They were led out by Darren Leufer with Louis O’Hara who had a 1-hole win over Sam Murphy with Adrian Hogan they were followed by David Kitt with Allan Hill who had a 4-hole win over James McLoughlin with Michael Flanagan. They made their way to Thurles Golf Club to participate in the National Deciders when they were drawn against Ulster Champions Clandeboye Golf Club in the All-Ireland Semi-Final on Thursday 4th October. They were led out by Joe Bernie Jnr. with Louis O’Hara who recorded a 5 and 3 win over William Russell with Karl Eccles they were followed by Darren Leufer with Allan Hill who beat Graeme Laird with Scott Miller by 2 and 1. They met a very fancied Dundalk Golf Club in the All-Ireland Final the following day and were lead out again by Joe Bernie Jnr. with Louis O’Hara who had a 4-hole win over Aaron Grant with Conor Curran the second match of Darren Leufer with Allan Hill lost out by 1-hole to Caolan Rafferty and Eoin Murphy. This was a huge win for the very young Athenry Club against a star studded Leinster Champions. Young David Kitt was runner-up in the Irish Close Championship at Galway Golf Club on 26th August 2017 losing out by 1-hole to Warrenpoinys Jamie Fletcher. The boys of Athenry Golf Club won the Connacht Final of the Fred Daly Trophy in 2017 when they beat near neighbours Galway Golf Club by 3-matches to 2-matches having beaten Co. Sligo Golf Club in the Semi-Final by 4-matches to 1-match. in the Semi-Final they were led out by Allan Hill who beat Odhran Maguire by 3 and 2, he was followed by David Kitt who had a 6 and 5 win over Tom Flanagan, next on the tee was Cillian Lawless who recorded a 5 and 4 win over Danie Ford, the penultimate match of Darren Leufer against Paddy Bird and bottom match of Sean O'Connell against Joseph Keyes were declared as halves when called-in. in the Regional Final against Galway Golf Club they were led out again by Allan Hill who lost his match by 1-hole against Luke O'Neill, he was followed by David Kitt (who was Runner-Up in the Irish Amateur Close Championship) had a very comfortable 7 and 6 win over Liam Power, next on the tee was Cillian Lawless who went down by 2 and 1 against Liam Nolan, in the penultimate match Darren Leufer recorded a 3 and 2 win over Paddy Culhane, in the bottom match Sean O'Connell booked Athenry’s place in the National Finals when he had a 3 and 1 win over Gavin Keogh. Athenry Golf Club won the Connacht Final of the Irish Junior Cup when they beat Portumna Golf Club by 3 ½-matches to 1 ½-matches at Ballinrobe Golf Club on Sunday 8th August 2016. They were led out by Brian O’Connor who had a 2 and 1 win over Brendan Naughton he was followed by David Kitt who beat Ger Lynch by a similar score, next up was Sean O’Connell who recorded a halve against Damien Burke when called-in the penultimate match of Brendan Penny went 6 and 4 to Eamonn Dervan the bottom match of Darren Laufer against Adrian Hogan went 3 and 2 to Athenry and a place in the All-Ireland deciders. They made their way to Carton House Golf Club to compete in the All-Ireland deciders and drew Ulster Champions Lurgan in the All-Ireland Semi-Final on Wednesday 14th September 2016. This time David Kitt led the way who lost his match against Keith Percy by 3 and 2 next on the tee was Brendan Penney who lost out to James Horan by 2 and 1 he was followed by Sean O’Connell who recorded a halve against Gareth Hanna, in the penultimate match Brian O’Connor lost out to Jim McKee by 4 and 3, the bottom match of Darren Leufer was halved against Andrew Cummins. Lurgan Golf Club lost out to the Rathfarnham Club by 3-matches to 2-matches in the All-Ireland Final the following day. Athenry Golf Club won the Connacht Final of the Jimmy Bruen Shield when they beat Roscommon Golf Club by 4½-matches to ½-match at Ballinrobe Golf Club on Sunday 7th August 2016. They made their way to Carton House Golf Club to compete in the All-Ireland deciders when they drew Ulster Champions Fortwilliam Golf Club in the All-Ireland Semi-Final on Friday 16th September. First on the tee was Ethan Regan with Oisin O’Connell who lost out to Aiden Hawkins with Patrick McGurnaghan by 3 and 1, they were followed by David Flaherty with David Mooney who had a 4 an d 2 win over Donald Skeats with Martin Kelly, next up were Sean O’Connell with Paul Molloy who recorded a very comfortable 7 and 6 win over Andrew Lane with Vincent McKinley, in the penultimate match James O’Connor with Mark Moran lost out to Paul Gillen with Conal Duffy by 2-holes it was down to the bottom match of Ciaran Coughlan wit Seamus Burke against John M. McAuley with Alan Hawthorne to decide which club went through to the All-Ireland decider but this match went all the way to the 20th before Athenry booked their place. They met Leinster Champions Cill Dara in the decider the following day who had accounted for Munster Champions Muskerry by 3½-matches to 1½ matches in their Semi-Final. They were led out again by Ethan Regan & Oisin O’Connell who put the first point on the board with a 2 and 1win against Ray Mackey with Christopher Harhen, they were followed by David Flaherty with David Mooney who recorded a 2-hole win over James Dunne with Ciaran Ryan, next up were Sean O’Connell with Paul Molloy who went down to David Kelly with Desmond Scahill by 3 and 2 in the penultimate match Ian Kelly with Mark Moran lost their match by 2 and 1 to David Fox with Declan Plunkett so it was all down to the bottom match of Ciaran Coughlan with Seamus Burke against Patrick Hopkins with Christy Roche to decide where the green pennant was going and this match went all the way to the 19th before Cill Dara won their first All-Ireland pennant. The boys’ from Athenry Golf Club won the Connacht Final of the Fred Daly Trophy in 2016 and made the short journey across the city to play in the All-Ireland Deciders at Galway Golf Club where they were drawn against Ulster Champions Holywood Golf Club (home club of Rory McIlroy) in the All-Ireland Semi-Finals. They met Limerick Golf Club who had just beaten reigning Champions Kilkenny Golf Club in their Semi-Final by 4 matches to 1 match in the All-Ireland Decider that afternoon. They were led out again by Michael Shield who lost his match against Sean Enright (1) by 3 and 2, he was followed this time by Michael Kennelly who had a similar result against Ciaran Vaughan (2), next up was David Kitt against Luke O’Brien (3) resulting in a 2 and 1 win for the Limerick lad, the bottom two matches of Cillian Lawless against Morgan Hanley (4) and Louis O’Hara against Ross Fitzgerald (5) were recorded as halves. Athenry Golf Club who had won the Fred Daly Trophy previously at Dungarvan Golf Club in 2010 came up just that bit short this time around but well done in reaching the All-Ireland Final. Athenry Golf Club won the Connacht Final of the Barton Shield at Castlebar Golf Club on Sunday 15th June 2014, when they beat Portumna Golf Club by 3-holes. They were led by Brian O’Reilly with Martin Hynes who beat Paul Porter with James McLoughlin by 2-holes; they were followed by David Byrne with Joe Beirne who had a 1-hole win over Damien Burke with John Cleary. They met Athlone Golf Club in the Semi-Final and had a comfortable 8-holes win over the club by the Shannon. The same four players secured their place in the final, Brian O’Reilly with Martin Hynes beat Thomas O’Connor with Daniel O’Connor by 3-holes, and they were followed by David Byrne with Joe Beirne who had a 5-hole win over Sean Doyle with Niall Carroll. They made their way to Carton House to compete in the All-Ireland deciders on the O’Meara Course where they were drawn against Munster Champions Muskerry Golf Club in the All-Ireland Semi-Final on Wednesday 17th September. They were led out by Brian O'Reilly with Peter Dolan who lost by 5-holes against Niall Gorey with Dave O'Donovan, they were followed by David Byrne with Joe Bernie who also lost by 5-holes against Daniel Hallissey with John Waldron. Muskerry went on to win the All-Ireland when they beat Warrenpoint in the decider. Athenry Golf Club won the Connacht Final of the Irish Junior Cup in 2014 when they beat Galway Golf Club by 3½-matches to 1½-matches in the Final having beaten Co. Sligo Golf Club in the Semi-Final by 3-matches to 2-matches. First on the tee was Darragh Conlon who beat Gary Scott by 3 and 2, he was followed by Peadar O’Beirn who lost his match against Paddy Kennedy by 1-hole, next up was Brian O’Connor who had a 1-hole win over Paddy Culhane, the penultimate match of Thomas Reaney against Mikey Burke was halved and so it was down to the bottom match of Michael Kennelly against Michael O’Farrell to decide who went through to the All-Ireland decider, Kennelly prevailed with a 2-hole win. They made the long journey to Carton House to compete in the All-Ireland deciders on the O’Meara Course where they were drawn against Munster Champions Castletroy Golf Club in the All-Ireland Semi-Final. They were led out by Darragh Conlon who had a very convincing 6 and 5 win over Jonathan McDonnell, next up was Brian O'Connor who lost out to Colm Geary by 3 and 2, he was followed by Louis O'Hara who halved his match against Keith Bermingham, in the penultimate match Thomas Reaney went down to Brendan Reidy by 5 and 4, in the bottom match Michael Kennelly lost his match to Michael Murphy by 4 and 3. So it was not to be for 2014. Athenry Golf Club won the Connaught Final of the Irish Junior Cup at Claremorris Golf Club when they beat Co. Sligo Golf Club by 4-matches to 1-match Sunday 12th August 2012. The team on the day was Ian Dunican who beat Garth McManus by 5 and 4, he was followed by Philip Somers who haled his match with Shane Flanagan when called in, next up was Thomas Reaney who beat Rob Kelly by 4 and 2, the penultimate match of Matthey Fahy against David O’Donovan went 4 and 3 to the Galway team. The bottom match of Brian Mooney against Damien Burke was halved when called in. They were captained by Joe Bernie Jnr. They made the journey to Kinsale Golf Club to compete in the All-Ireland deciders on Wednesday 19th September when they were drawn against Leinster Champions Milltown Golf Club in the All-Ireland Semi-Finals. They were led by Ian Dunican who beat Noel Patterson by 3 and 2, he was followed by Thomas Reaney who had a 5 and 3 win over Dylan O’Reilly, next up was S. Glynn who lost out to Luke Conlon by 3 and 2. In the penultimate match Matthew Fahy went up the 19th before securing the decisive point against Rory O’Gorman, the bottom match of Brian Mooney was halved against Andy Stokes. They met Ulster Champions Donaghadee Golf Club in the All-Ireland decider the following day. they were lead again by Ian Dunican who lost out to Andrew Clegg by 3 and 2, next up was Thomas Reaney who halved his match against Steven Miller, he was followed by S. Glynn who lost to Mark Rea by 3 and 2. In the penultimate match Matthew Fahy went down 2 and 1 to William McCutcheon, the bottom match of Brian Mooney against Alan Neill was halved when called in. Athenry Golf Club won the Connaught Final of the Barton Shield when they beat Co. Sligo Golf Club by 4-holes at Loughrea Golf Club on Saturday 6th August 2011. They made the long journey to Castlerock Golf Club to compete in the All-Ireland deciders the following September. They were drawn against Munster Champions Tramore in the All-Ireland Semi-Final. First on the tee was Mark King with Michael Lane who lost to Chris Butler with Declan King by 2-holes, they were followed by Conor Waters with David Byrne who halved their match against Alan Thomas with David Kiely. Athenry Golf Club won the Connacht Final of the Pierce Purcell Shield when they beat Claremorris Golf Club in the regional decider by 3½-matches to 1½-matches at Ballinasloe Golf Club on Saturday 6th August 2011. They made the long journey to the Castlerock Golf Club to compete in the All-Ireland deciders the following September. They were drawn against Munster Champions Woodstock Golf Club in the All-Ireland Semi-Final, whom they lost out to by 3-matches to 2-matches. First on the tee was David Donohue with Brendan Lynskey who lost to Tom Hehir with Martin Dormer by 2-holes, they were followed by Michael Shaughnessy with Luke Glynn who went up the 19th before conceding the point to Shane Fitzgerald with Michael O’Brien, next up was Martin Naughton with Shane Donohue who had a comfortable 6 and 4 win over Liam McInerney with Mike Kelly, the penultimate match of Michael Crimmins with Jimmy Flaherty went 4 and 2 to Jason Considine with Brian Mulcahy, in the bottom match Kevin McCarthy with Michael Noone had a 2 and 1 win over Declan Coote with Jimmy Kelly. Woodstock went on to win the green pennant the following day when they beat Leinster Champions Corrstown by 3½-matches to 1½-matches. Athenry Golf Club won the Fred Daly All-Ireland Final at Dungarvan Golf Club on Tuesday 17th August 2010. They met Ulster Champions Tandragee Golf Club in the All-Ireland Semi-Final and had a 4 matches to 3 matches victory over the Antrim team. First on the tee was Sean Cannon who beat Jamie Stothers by 1-hole, he was followed by David Byrne who lost to Adam Brown on the 19th Next up was Sean Glynn who lost to James Hewitt by 5 and 4, Brian O’Reilly followed and beat Ross Dutton by 4 and 3, he was followed by Peter Dolan and beat Jack McClean by 2 and 1. The penultimate match saw Cathal Burke lose to Stefan Greenberg by 2and 1 the bottom match secured the win when Pat Croghan beat Jordan Laverty by 3 and 2. They met Munster Champions Adare Manor in the All-Ireland decider and had a convincing 5½ to 1½ against the boys from the picturesque Co. Limerick village. They were lead again by Sean Cannon once again went all the way to the 19th before beating David Carroll, he was followed by David Byrne who beat Jack McGrath by 2 and 1, next up was Sean Glynn who beat Aaron Moore by 2-holes, Brian O'Reilly followed and beat Stephen O'Mahony by 4 and 2. The last three matches where declared as halves when Peter Dolan played Shane Irwin, Cathal Burke played John Long and Pat Croghan played with Greg Lohan. They made their way to Nicklaus Golf Trail, El Valle, Murcia, in Spain to compete in the Junior Team Golf Home Nations Championship from the 14th to 16th January 2011 where they finished a credible second to England, with Wales finishing 3rd and Scotland bringing up the rear. Athenry Golf Club won the Connaught Final of the Fred Daly Trophy in 2009. They met Leinster Champions and title holders Rosslare Golf Club in the All-Ireland Semi-Final. They were lead by Sean Cannon who went down to Gary Collins by 4 and 2. He was followed by David Byrne who beat Conor Kelly by 4 and 3. Next up was Sean Glynn who had a similar result against Ger McNamara. The middle match Brian O’Reilly went to Ross Young by 6 and 4. The 5th match of Cathal Burke against Ian Cuddihy also went to the boys from Wexford. The penultimate match of Peter Dolan against Eamon Kelly went 4 and 3 to Rosslare’s and with it Athenry’s hopes of reaching the decider. The bottom match of Mark Holohan was halved with Hubert Newell. So it was not to be for 2009. Rosslare went on to win the All-Ireland Final when they beat Munster Champions Mallow Golf Club in the decider by 4½ matches to 1½ matches. The Ladies of Athenry Club won the Connaught Final of the AA Insurance Junior Cup and made their way to Royal Tara Golf Club to participate in the National deciders in 2009 and lost out to Mid-Leinster Champions Enniscorthy Golf Club in the All-Ireland Quarter-Final by 3 and 2. First on the tee was Marie Carr (9) who lost her match by 3 and 2 against Laura Dempsey (7), she was followed by Josephine Noone (9) who lost her match by 4 and 3 to Margaret Mooney (9), next up was Ann Marie Mulry (10) who had a comfortable 5 and 4 win over Trina Hogan (10), the penultimate match of Gina Gilligan (10) was won by 4 and 2 against Connie Doyle (10), the bottom match between Marian Hosty (13) was lost by 3 and 1 to Marian Hosty (13). The Ladies of Athenry Golf Club won Connaught Final of the AA Insurance Minor Cup and made their way to Royal Tara Golf Club in 2009 to compete in the National deciders; where they met Mid-Leinster Champions Blessington Lakes in the All-Ireland Semi-Final and lost out to the eventual green pennant winners by 3 matches to 2 matches. First on the tee was Nicola Nally (23) who won her match by 5 and 3 against Marie Clarke (24), she was followed by Julie Carr (25) who lost her match by 9 and 7 against Nolene Mullen (24), next up was Sara McDermott (25) who had a comfortable 5 and 3 win over Rita Malone (24), in the penultimate match Veronica Cronin (26) lost her match by 7 and 5 against Mary Fitzpatrick (25), in the bottom match Martha Breen (28) lost her match by 4 and 3 to Suzanne Hegarty (27). The Ladies of Athenry Golf Club won the All-Ireland Final of the AA-Insurance Challenge Cup in 2008 at Limerick Golf Club when they beat Munster Champions Monkstown Golf Club by 3½ matches to 1½ matches. The Ladies of Athenry Golf Club won the Connaught Final of the AA-Insurance Challenge Cup in 2008 they made the journey to Limerick Golf Club to compete in the National deciders; where they met Mid-Leinster Champions Powerscourt Golf Club in the All-Ireland Semi-Final whom they beat in a cliff-hanger by 3 matches to 2 matches when Sarah Byrne holed-out on the 19th-green. First on the tee was Sara McDermott (31) beat Michelle Freeley (30) on the 19th, she was followed by Pauline McEvoy (31) who had an off-day when loosing out to Elizabeth Desmond (31) by 7 and 6, next on the tee was Martha Breen (32) who lost narrowly to Bairbre O'Brien (31) by 1-hole, the penultimate match of Maria Conlon (33) was also a close match when she won her match by 1-hole against Marie Clarkson (33), the bottom match saw Carmel Burke (35) beat Annette Deignan (33) by 3 and 2. They met Monkstown in the All-Ireland Final Sara McDermott and Martha Breen won their matches by 6 and 5, she was followed by Sara McDermott (31) who beat Ger O'Keefe (30) by 6 and 5, next up was Martha Breen (32) who had a convincing 6 and 5 win over Ruth Coulter (33) Maria Conlon (33) won her match against Brenda Geary (33) on the 17th the bottom match of Carmel Burke (35) was halved with Barbara Hanan (36). Kathleen Ivers (24) teamed up with Alice Murphy (21) from Oughterard Golf Club to qualify with 39 pts. at Druid's Heath in the National Final of the O2 All-Ireland Masters. They qualified for the Grand Final played at the Kempinski Resort Hotel, Estepona, Spain in October 2004. They set out for the 5* Hotel on 9th October where having played a practice round they then went on to compete in the Grand Final over four days. Athenry beat Portumna in the Connaught Final of the Irish Junior Cup and went on to play Moate in the All-Ireland semi-final at Lahinch, on 21st September 2000. The squad was Michael Waters, John Duffy, Darragh Guinnane, Michael Mulryan, Shane Franklin, Michael Lane and Niall McSweeney The team Captain was Tom O'Connor Jnr. They went down to Moate in the Semi-Final. Brian Mooney played Connaught Boys in 1996. Athenry Golf Club can boast of two important archaeological sites, which are preserved as features on the course and as national monuments in their own right. The first site is located directly in front of the green of the first hole. It is a fine example of a ring barrow or burial site consisting of a circular ditch with external bank. Overall it is about 8 meters in diameter. The centre has been dug into and damaged. Such ring-barrows can be dated to the early Iron Age and when the Celts arrived in Ireland during the last centuries B.C. The burials are not normally located in the central area but in the surrounding ditch and the cremated remains are usually accompanied by grave-goods such as decorated glass beads, bone pins and bronze broaches. Professor Etienne Rynne of Athenry has excavated a number of similar barrows which can be seen in the Barony of Dunkellin and two examples at Oranbeg near Derrydonnell and at Grannagh near Ardrahan,. Although damaged this ring- barrow on the Athenry Golf course is an important monument and still undoubtedly retains its burial evidence. It forms a unique man made hazard on the course which the Club are pledged to preserve. The second archaeological site on the golf course is also a prehistoric barrow or burial mound, but it is not as prominent a feature on the ground. 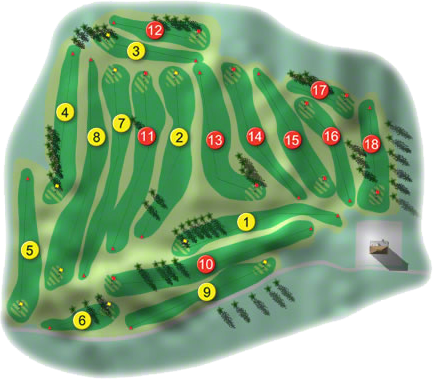 It is located in the rough on top of the low ridge, which juts out to form dog leg of the 13th hole (originally the 4th hole). The circular mound is about 10 metres in diameter and 1 meter in height and is surrounded by a very shallow ditch cut across the scarp of the ridge. The earthen mound contains at least one large stone, set on edge, which may be part of a box-like grave or cist. This barrow, in all probability, belongs to the earlier Bronze Age, about 1800 to 1200 B.C. when burials, inhumed or cremated, were frequently placed in stone-built cists and accompanied by pottery vessels and other objects. Unlike most archaeological monuments, these two burial sites were not marked on the Ordnance survey maps. They have, however, been surveyed by the National Parks and Monuments Branch of the Office OF public Works, and scheduled, by them, for preservation as important archaeological sites. Thomas Fanning, member, Department of Archaeology, U.C.G. I'm from the same town as Nancy Lopez and the aliens."